Jet lag be damned, Damian Camp spent a good part of Tuesday night in Wisconsin celebrating, even though - by Kiwi time and his own body clock - it was 3:00pm tomorrow in Hamilton, New Zealand. Camp's got $9 million reasons to be happy, his tiny Pacific Aerospace Limited just landed a contract to sell airplanes in China. Now you know and I know that everybody and his geeky pocket protector-wearing brother is eying China as the next new market for airplanes, as I wrote for the International Herald Tribune a month or so ago. But Pacific Aerospace isn't Airbus or Bombardier. It's not even Cessna, who's Caravan is the plane Pacific Aerospace is trying to beat with its single engine P-750 extremely short take-off and landing aircraft. The P-750 takes off from a dirt strip. 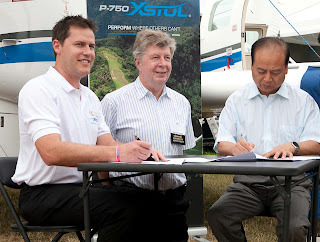 Photo courtesy Pacific Aerospace Lid. Last year at this time, I visited the Pacific manufacturing plant, and found an almost family-like atmosphere where workers in coveralls turn out handmade airplanes one by one. The P-750 carries 4,200 pounds, 900 pounds more than its empty weight, flies for 1,100 miles and can take off on dirt, grass or gravel runways in just 720 feet. Give or take a few feet, these are some pretty impressive qualities and it is no surprise the airplane attracted the interest of China Xi’an Yanliang National Aviation Hi-tech Industrial Base. In the agreement the two entities just announced, Pacific will supply P-750s to Xi'an which will in turn use the airplanes in the presently-booming autonomous region of Mongolia. The biggest industry in Mongolia right now is mining and Damian says his airplane is well suited to use in this environment. "Mining, humanitarian work, connecting communities, it's an extension of what we're already doing," he told me in in a phone call Tuesday night. Since 2004, Damian says they've sold 84 P-750s which are in service in Southeast Asia, New Guinea, Australia and New Zealand. Damian was a trooper, interrupting the celebration going on at Oshkosh to answer my questions about the just-announced deal. It has been a while in the making and Damian is not alone in discovering that despite the hype, riding the anticipated wave of general aviation business in China ain't exactly like a day at Bondi Beach. I heard that before. 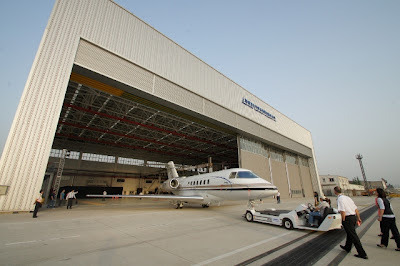 In Shanghai, last month, Carey Matthews general manager of the Shanghai Hawker Pacific Business Aviation Service Center, took me for a leisurely tour of the ultra-lux FBO he's running across the airfield from the airport. The business is a joint venture between the Shanghai Airport Authority and the Australian Hawker Pacific and they've created a beautiful place. The waiting room is on par with some of the finest first class lounges I've seen and I'd eat off the floor of the hangar, but its quiet there. A little too quiet. Carey says progress here is like the riddle, "which came first, the chicken or the egg?" 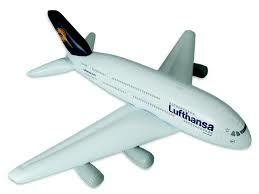 It is expensive to bring private aircraft into the country so development of FBOS has been slow. Without airports where they can land their planes and have them serviced what incentives are there for the Chinese to buy GA airplanes? "There's a lot that's missing," Carey said in understatement, but don't misunderstand him; He is doing the Field of Dreams-thing "If you build it they will come." Over at Pacific Aerospace they're liberated from some of the hurdles facing Hawker Pacific. Xi'an Hi-Tech Indusrial, the group committed to buying five P-750s each year over the next three years already has a need for this specific heavy lift airplane that is simple to fly, resilient in operation and can land and take off nearly anywhere. Later today the P-750 XTOL will show its stuff on a demonstration flight at Air Venture. But I think there are a few Kiwi aviation executives who are already flying high. This deal is the result of an industry-wide, concerted effort, which is probably what has been hampering EU and US companies from entering the China market. New Zealand has a free-trade agreement with China too, ahich is a huge help. Basically, governments have removed any barriers, and industry have worked together. That is not to take anything away from Pacific, but there is a lot going on behind the scenes, from government to small players in the NZ industry banding together.